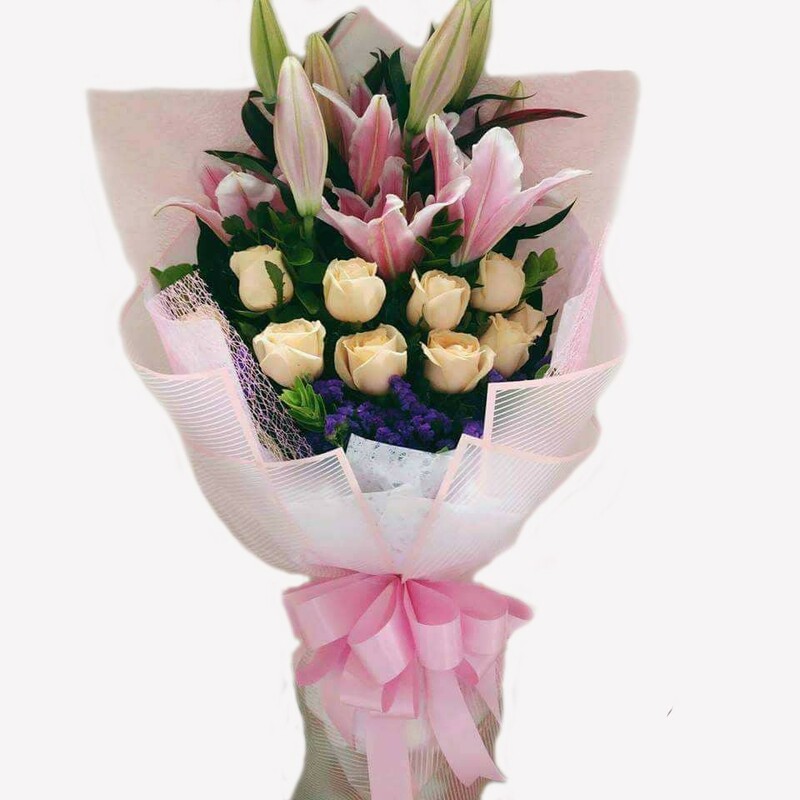 Importes Roses & Star Gazer - A beautifully scented bouquet of Importes Roses & Star Gazer, a little luxury no less than your special one deserves. - This product can be delivered within Philippines. - Delivery will be made between 8 am. to 6 pm. 7-day a week. - The arrangements may vary slightly from the image displayed. - If the specified flowers are not available, an appropriate substitute will be used.